In Just a few days to presidential and National Assembly election, leadership of governing All Progressives Congress (APC) in Kaduna State, received 400 members of People’s Democratic Party into its fold. This was even as as decampees converted their formal office located along Makarfi Road, Rigasa, Igabi local government area of the State, into APC’s and promised to vote APC candidates at all levels during the elections. Rigasa, the largest community in Kaduna State, has well over one million residents, hence, a serious target for statistically minded politicians during electioneering. The PDP members, who dumped their party were sighted yesterday removing posters and banners of PDP candidates from the campaign office and replacing them with those of the APC’s. One of the decampees who spoke to journalists under anonymity said, he has been supporting PDP for about 20 years, but was not convinced enough to continue with the party, hence, his decision to join the APC ahead the forthcoming elections. He said, “It is better late than never to join the All Progressives Congress and vote President Muhammadu Buhari and Governor Nasir El-Rufai. This is becaubecause we have seen the development they have brought to the country and the State respectively. “My biggest regret would have been remaining in PDP till after elections and witness more poor governance”, he said. Receiving the decampees on behalf of the party in Rigasa, a Chieftain of APC, Bashir Ibrahim, said, “we are here to receive over 400 decampees from PDP, whom have their office converted from that of PDP to APC which is a plus to the party. These people you see here including men and women, have decided to join the winning party as a result of rapid success and progress recorded under APC within four years. They have seen for themselves the difference between the 16 years governance by PDP and four years of APC. 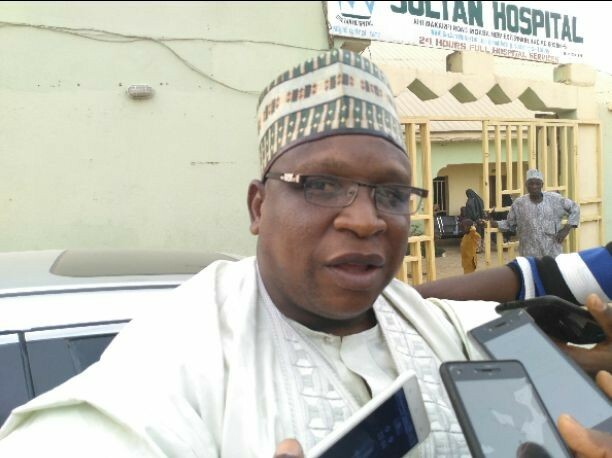 In a remark, Deputy Chairman of APC in Kaduna, Alhaji Shaib Idris, called on all party members and supporters to remain peaceful and law abiding before, during and after the upcoming elections. “We know this is a plus for our party. We have received these latest decampees in a few days to elections. We are happy about it because it is a plus for us. However, everyone should avoid violence. We urge our people to go and vote and remain peaceful”, he added.